Indeed, Abrams apparently used to write romance novels under the pen name “Selena Montgomery,” which are apparently still available on Amazon. 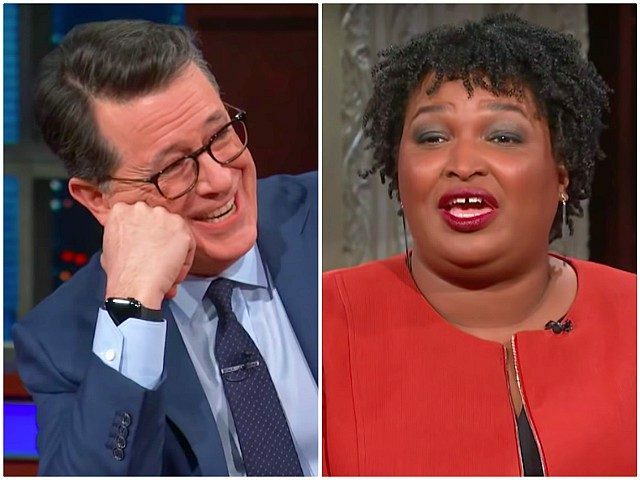 Colbert mocked Abrams by reading an excerpt from one book, noting that there are portions of the book he cannot actually read on air. “It was a really good kiss,” she responded. “The timing for me is first deciding about the Senate,” she said.